It's been a week of recovery over here. We had a fabulous time with our homeschooling community down in Portland but three out of five of us came down with a cold upon our return. It's a common enough occurrence that folks call it "the conference crud." We didn't travel far, or for very long, but it feels like the seasons changed while we were gone. Crispy fall leaves are already littering the yard and the apples on our backyard tree are almost ready to eat. I guess the change in weather went well with my need to curl up with a blanket and many cups of tea to nurse my sore throat. Feeling much better today, thank goodness! I did manage to complete the weekly It's A String Thing Challenge #161, so that's one silver lining to being home-bound this week. I see a little of fall in this tile: russet for the maple leaves out front with hints of blue skies. I am still working on tan paper a la Renaissance tiles and have been particularly inspired by what CZT Sharla Hicks calls the Renaissance Mooka Blues. Sharla uses a variety of chalk pastel pencils to complement the variety of ink colors. Since I have a set of soft chalk pastel sticks, I decided to try them out. The chalky pastel blends well with the graphite shading in a way that waxy Prismacolor pencils just won't. It's a technique I think I'll keep in my toolbox. 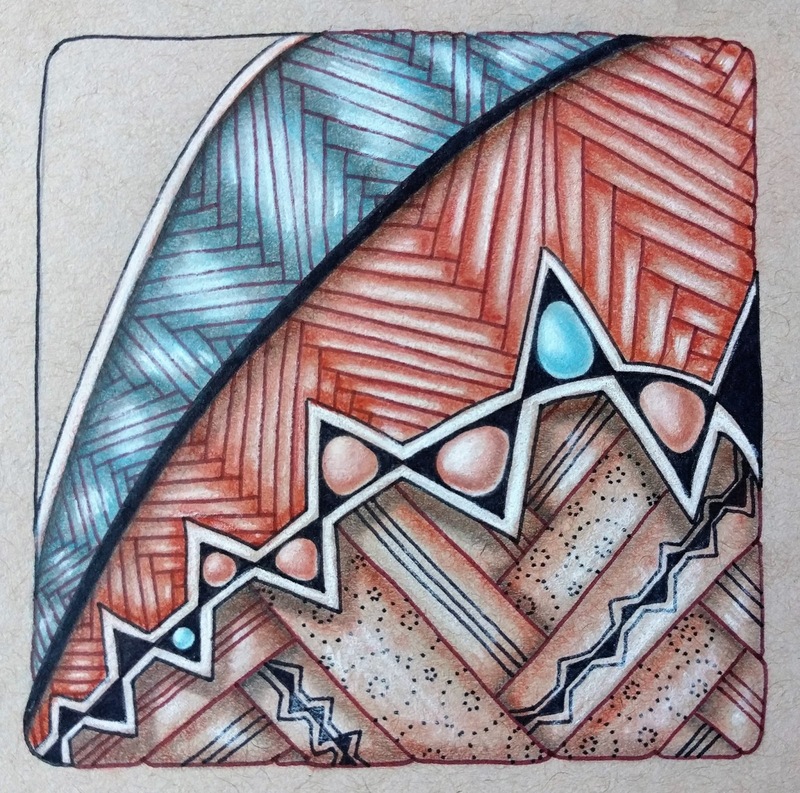 I enjoy participating in these group art adventures because there is always something I learn from working through the specific weekly challenge as well as from seeing what unique solutions are arrived at by the other artists. I have some art goals for myself in different media as well, and I was reminded of those this weekend when sharing some of my art with friends I hadn't seen since starting this blog. 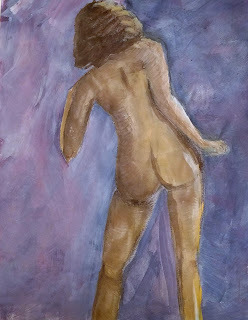 I really want to draw and paint people, especially figures and faces. I managed to get in some figure-sketching time yesterday and it feels good to get back to working on that goal again. One of my favorite resources for figure-drawing is Croquis Cafe, a website devoted to photos of diverse models in a variety of poses that artists can use as references.